When we moved into our house a bit over a year ago I asked the previous owners roughly how much their energy bills were so I could have a guide for our budget. We’d previously lived in a duplex and we were moving into a large house with a granny flat so I needed to know how much we should account for in our budget. I nearly had a heart attack when they told me they were averaging $1800 a quarter on electricity alone! I started to panic that we had bought some kind of energy black hole and promptly did some pretty serious tightening of our spending. 12 months later it turns out I need not have panicked. While our bills obviously increased from what we were spending in our duplex, they were no where near as bad as I had imagined. Over the year we have spend almost exactly the same as the previous owners were spending EVERY quarter. Yep, you read that right. We have the same number of people living in the exact same house and we are spending a quarter of what they were spending. I guess my energy efficient husband has taught me something after all! These are my top tips so you can do the same. Our house was FULL of down lights. We have 25 in our kitchen and living room alone! All the lights were halogen down lights which produce heat and use huge amounts of power. 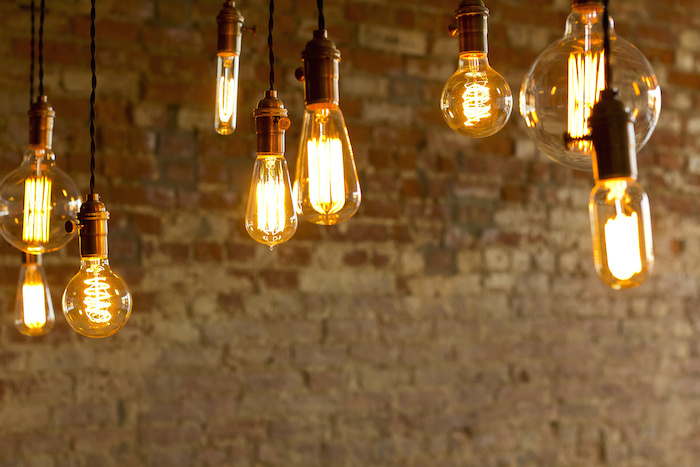 In fact, halogen lights use 75-80% more electricity to run than LED down lights. There was an initial cost to change over all the lights (about $8-10 per globe) but the overall impact on our power bills was huge. Check with your energy company to see if you have on and off peak times. If you do, off peak will be a lot cheaper than peak times for consuming energy. Try putting appliances like the washing machine and dishwasher on a timer so they automatically run at the cheaper time of the day. It’s so simple but when you leave a room, turn off the lights/TV/computer/heater ect. Leaving these things running all day and night when you don’t need them is a huge waste of energy. Teach your kids to get into the habit of turning the lights off as they walk out of the room. If your house doesn’t have good insulation then your costs for heating and cooling it will be much higher. Look into ways to improve your insulation that will reduce your energy bills over time. Even simple things like adding curtains to windows can help keep your home warmer in winter and cooler in summer. Set your air conditioner or heaters using a timer so you don’t forget to turn them off when you leave the house. 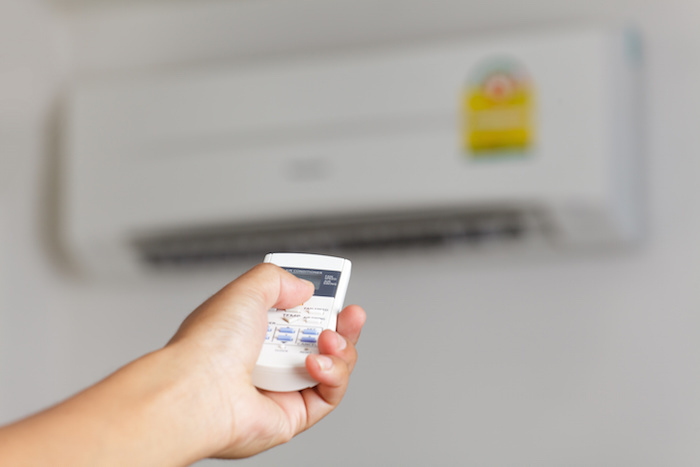 Choose a conservative temperature for air conditioners so you aren’t overloading them and wasting power. Generally the advice is 23 degrees in summer and 18 degrees in winter to keep your home a fairly comfortable temperature year round. 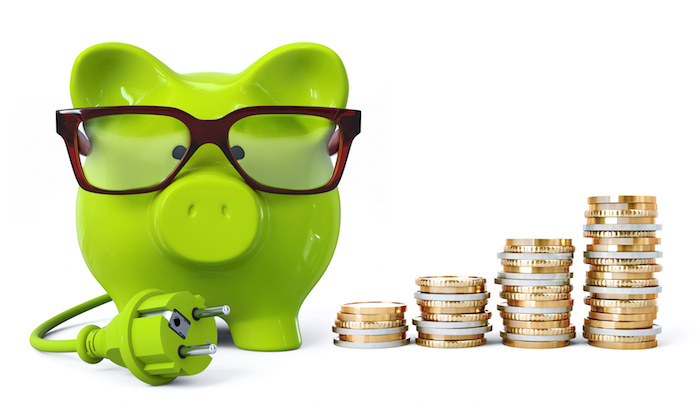 Did you know that you could be saving over 20% on your electricity usage just by changing providers? Make sure you are getting the best deal on your electricity and gas by checking what offers different providers have available. Some of the less well know companies such as Alinta Energy can often offer some of the best savings. Check out their website for offers. I am gobsmacked. I live in a household of 5 adults. 2 fridges, 3 large smart tv’s, a freezer, a dryer that is always used, we don’t hang clothes on line, old house with no insulation or modern light bulbs. We also have a reverse cycle aircon which we use a fair bit. Our bills, with Energy Australia range between $500-$600 per quarter. I have no idea what on earth this mother is doing to get bills so high. We constantly have devices and lights on, with 3 of the adults working different shifts around the clock. I also have an adult daughter with a disability who sleeps with lights full on and devices running. Her bedding has to be washed and dried every day. I compared my current bills with the Alinta rates and found barely a difference in rates to my Energy Australia bill. One rate was much the same, one was a little lower, one a little higher and I get a 15% discount paying on time. Wow that’s pretty good for so much power usage! Given we have the same number of people here as the previous owners it is pretty clear that the way you use a house makes a huge difference! Which article do you mean? Are you talking about one on my website or one that was featured on news.com.au/nine/mamamia/daily mail? My eighbour has a $60,000 a month bill. I was really worried it would effect me. Luckily he’s a cane farmer, so it turned out my house didn’t need as much power as his farm. I told him to use more led’s. I reckon he can get his bill down heaps. Ours was the same exact house (old owners vs us), same number of people, both residential, just different ways of using power. Seriously? $1800/quarter? What in the world are you powering, a vegas casino? Mine was $200/quarter. It was the previous owners who’s bill was this high. We moved in (same number of people, same house obviously) and were able to reduce it down to $450ish. Obviously the way you use things makes a huge difference.